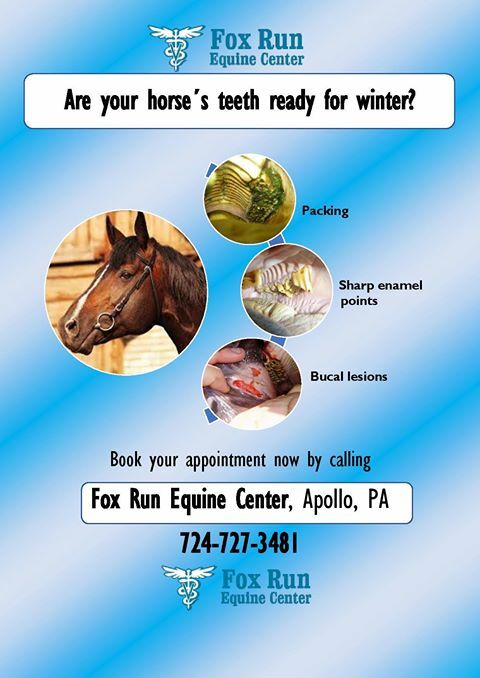 We are a full service equine hospital located near Apollo, Pennsylvania. We are open 24 hours a day, 7 days a week. While we are a referral hospital, we also have an extensive patient base that we tend to daily. Dr. Brian Burks, our director, is board certified by the American Board of Veterinary Practitioners in all aspects of equine medical care and is the only veterinarian to achieve this status of expert in equines in the Western Pennsylvania area. We offer a wide range of services including digital radiography, nuclear scintigraphy, in house laboratory and Extracorporeal Shock Wave Therapy (ECSWT). Our hospital includes 22 stalls, divided between our medical and surgical case barns, ICU, and isolation. We also offer ambulatory services for routine and minor care. We believe in a complete synergistic relationship between you and your horse. Visit us to see what services we can offer your horse. "Dr. Burks came out on a weekend when my horse had colic. He was very thorough and was great with my horse as well as decent conversation and didn't make me feel badly when asking questions. Thank you for looking at my boy with such short notice!"